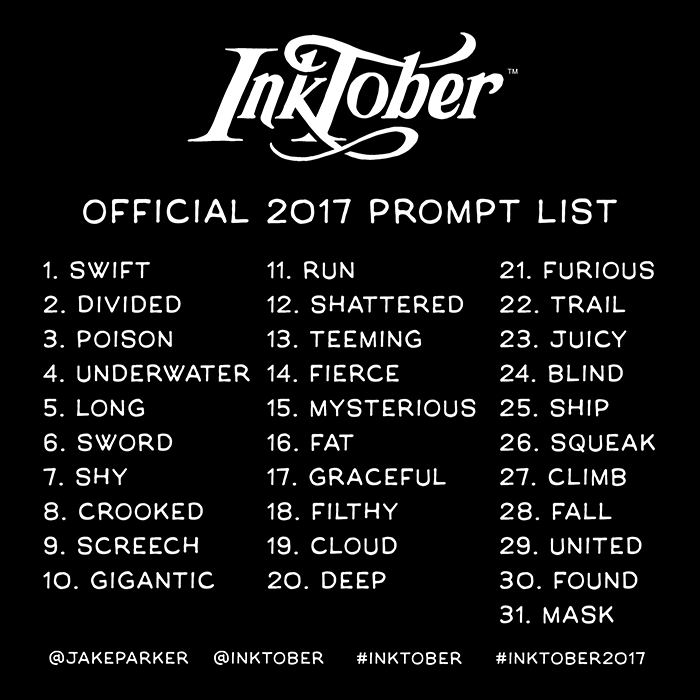 Inktober was created by Jake Parker, an illustrator, back in 2009. He wanted it to be a personal challenge to help him improve his inking skills and develop positive drawing habits. It's since grown into a worldwide endeavor. Thousands of artists participate in the challenge every year. 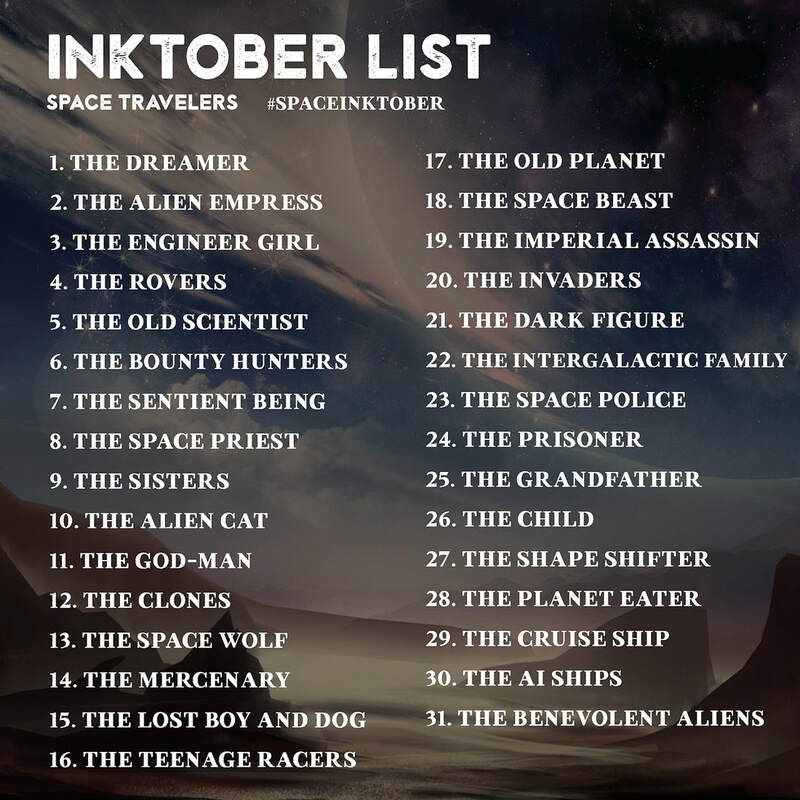 Every day in the month of October anyone participating in the Inktober challenge creates an ink drawing and posts it online. 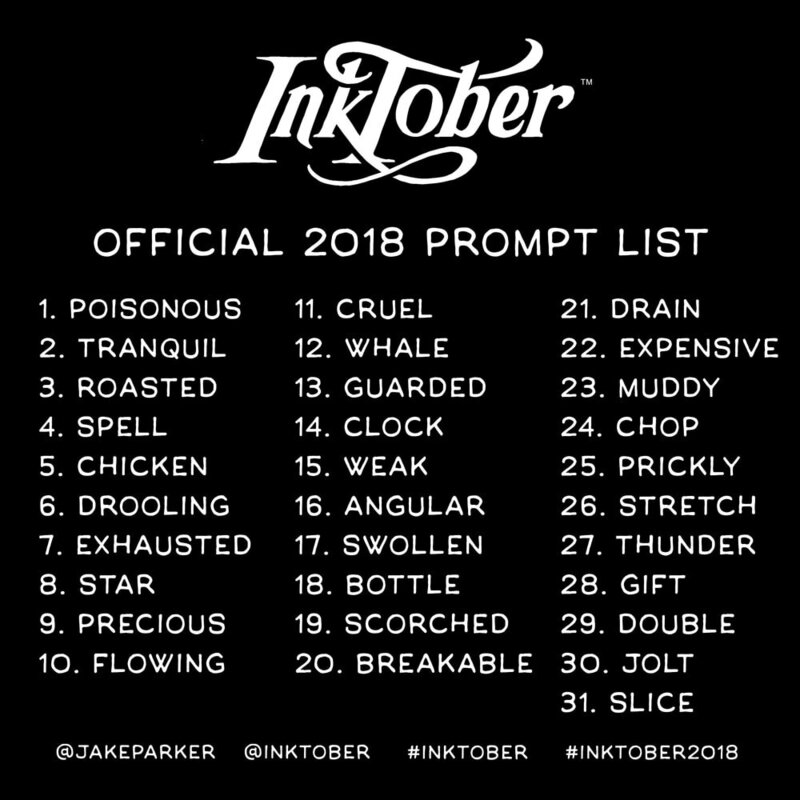 Remember to use the hashtags #inktober and #inktober2018 if you want your art to be seen by everyone! Yes! 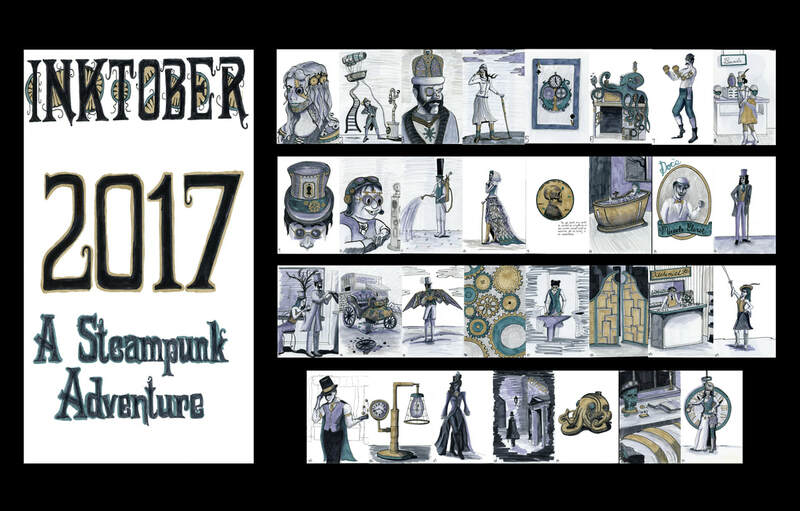 Initially the challenge of Inktober was focused on traditional inking. Although learning how to ink digitally is a skill separate from traditional inking it is no less valid. 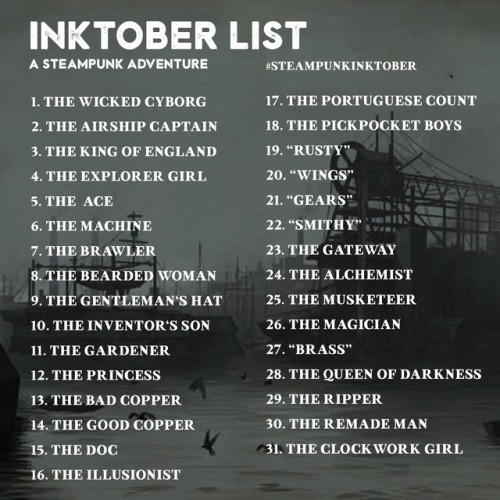 If you want to improve your digital inking skills then doing Inktober digitally is a great way to challenge yourself. Just be cool to those who want to use traditional inks. And traditional inkers, be cool to those who are trying to improve their digital inking. 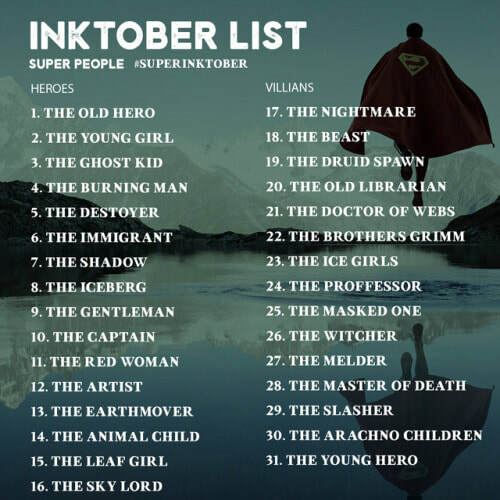 Although it would be great if you could practice using traditional inks, any type of pen will work for this! I tend to use Micron pens, Tombo brush pens, and Copic brush pens. However, those can be expensive, so if all you've got is a ballpoint pen, use it! If you're uncomfortable starting with straight ink, I also recommend doing an under-drawing in pencil then inking over it..
1. The more days you do, the greater your reward! Don't just do a quick two minute doodle....really put some effort into this! 4. Complete all 31 days = you get to void out the score of an assignment one time. This means if you did not earn a good score on a past assignment, or you ever work on something and don't see yourself earning a good score on it when you submit it, you can void out the points. Note: You will still be expected to complete every assignment in class, you will just be able to void out the score. 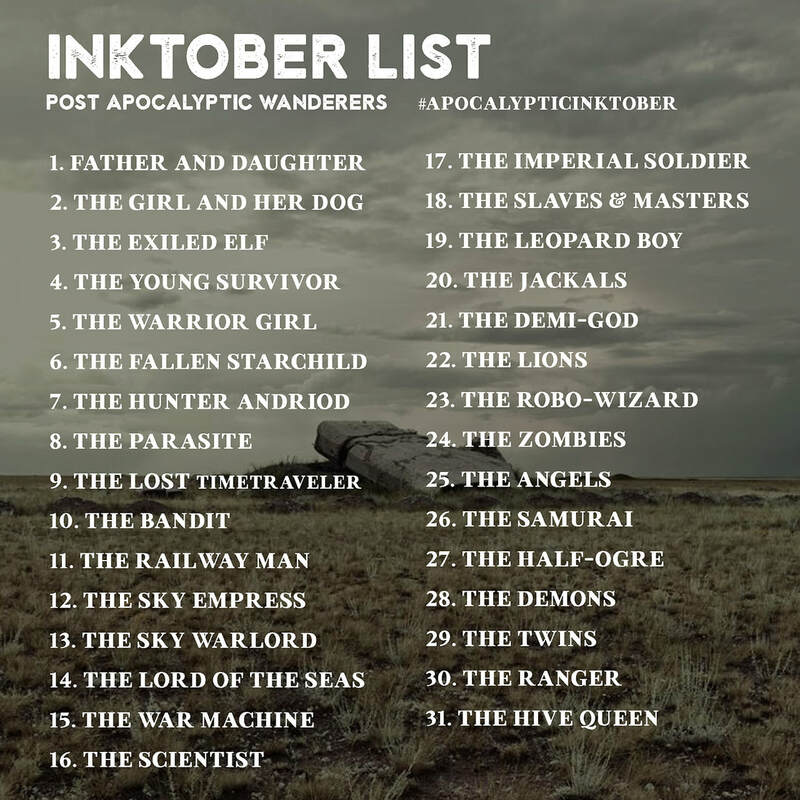 Use these or come up with your own! 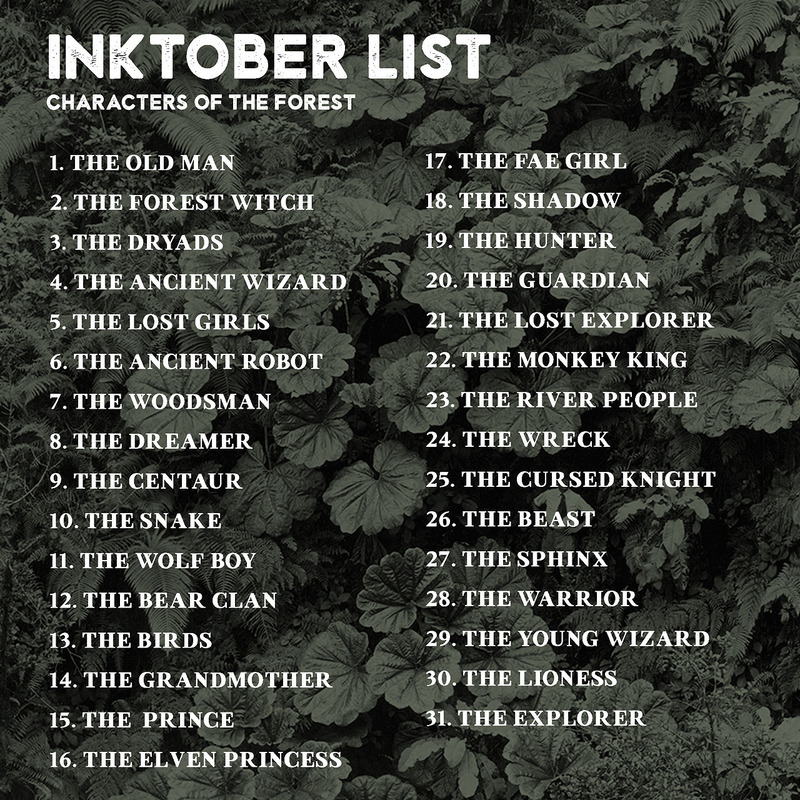 This year I will be doing "Characters of the Forest"